Japan motor shows are packed with cambered wheels with some tires so modified that they are barely inside the guards. Camber when referring to wheels is the angle at which a tire is inclined relative to the road. You can observe this angle when a car is cornering, the tire settings are adjusted to ensure that as much tire surface area is in contact with the ground. This prevents the car from rolling. Most of the time you observe a stationary car’s wheels you will assume that it is perpendicular to the wheel. But, this is not often the case because the wheel is indented a little. Inclined wheels have no bearing on the performance of the car but many people have them on for aesthetic value. 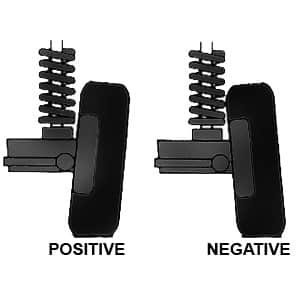 When the wheel is immobile the static camber is maintained but when it is cornering camber settings are adjusted to have more of the wheel being in contact with the road. Cars can have both positive and negative chambers. Negative camber occurs when the top part of the wheel is leaned closer to the center while positive camber occurs when the top of the wheel is pointed outwards. What you see in many tilted inclined wheels is the negative chamber. Whenever you see the outside wheels leaning outside of the car’s body you realize that the part of the wheel that is in contact with the road diminishes. In many cars, negative camber is good because it corrects the effects of learning during cornering. However, too much negative camber causes the car to have more sensitivity to the road’s crown. The tires also wear out at a faster rate than other cars. How far should you go with inclined wheels? The amount of wheel inclination that you want to go along with your car will depend on the type of suspension that you have. Once you have changed the suspension you will be required to change the camber plates. With more inclination, more pressure is applied to the wheel that is in contact with the ground. 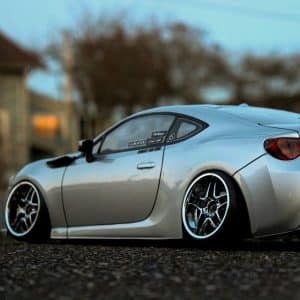 If you plan on having a stanced car you will need body kits and wheel arch flares so that a part of the wheels are covered by the car’s body – this is mostly due to requirements of the law. Most of the stanced cars also have their body slammed – that is the lowering of the car’s body. 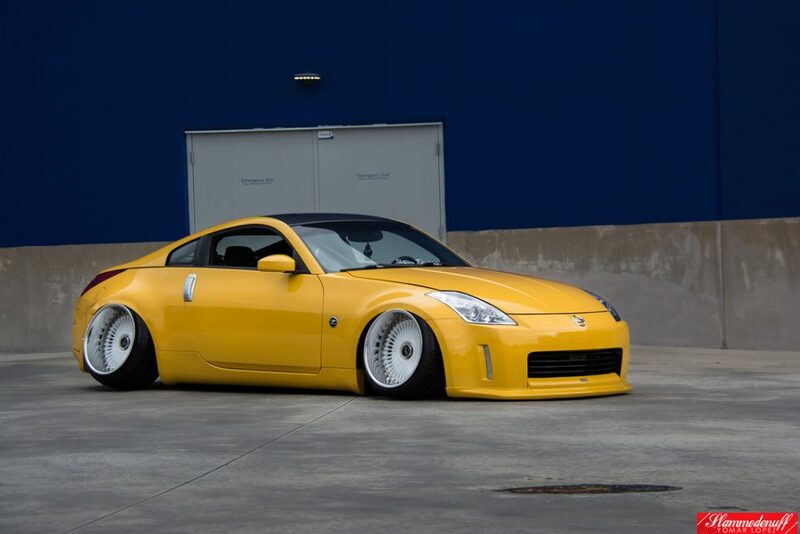 This creates what motor car enthusiasts call “hellaflush” which means you have little body contact with the wheels. Another way to modify your car wheels is to have a stretched tire. Here, you purchase the maximum permitted wheel by the manufacturer and have it fitted to your car – with some modifications to the suspension. Many people choose to have tilted inclined wheels not because it increases the car’s performance but because it has a cosmetic value. What are the dangers of very inclined wheels? Braking: the first problem you will experience with stanced cars is that you will have problems with braking. A normal car is designed with most of the wheel having contact with the road. This gives it grip and enables emergency braking. In cases where almost half of the tire is suspended in the air, the tire grip is reduced. This makes it hard to stop during emergency braking. This is the main reason why many traffic safety authorities are against the practice. Spend more on tires. the chances of punctures are greatly increased because one side of the tire undergoes a lot of tear. If you plan on inclining your wheels then be prepared to spend extra for tires and maintenance. If you think that it is only the tires that are affected when you have tilted inclined wheels then you have more maintenance costs coming. All the components of the driveshaft – wheel bearings, CV joints, bushes – are all designed to be used when the wheels are at a certain angle. Excessive negative camber puts pressure on these joints. Cars are designed to have a level of negative camber. This is vital when you are cornering. But, when you incline you wheels too much you are putting too much pressure on the parts of the wheel that are in contact with the ground. At extreme speeds, this can cause your driveshaft to fail further causing accidents. Very inclined wheels also have problems when steering. The steering cannot reach full lock because the geometry used to design them did not factor in extreme negative camber. Drivers will also experience problems with other safety aids like the ABS and VSC. The sensors for the ABS are designed for wheels that are aligned in a certain way. When you adjust this alignment and have excessive negative camber you reduce their effectiveness. This causes problems whenever your car is losing traction during rainy and snowy seasons. The suspension is also affected because it needs down travel, up travel and all this have to be properly aligned with the wheels. Problems arise because those making modifications do not have an angle grinder for perfect suspension angles. Driving the car on its sidewall is dangerous because this part of the tire is not supposed to have contact with the ground. Having too much weight on this weak area increases the chances of punctures. Tilted inclined wheels make for cool cars. The main reason many people adjust their tires to accommodate excessive negative camber is for aesthetic value. The inclined tires do not in any way improve the performance of the car. In fact, they may cause you more in terms of repairs. Your driveshaft and tires are under enormous pressure and this may cause them to fail.